From the vinyl records of yesterday, then over to cassette tapes and now CD's...the Watchmen have produced many recordings over the years. Visit our library to see if there is a CD you'd like to have. 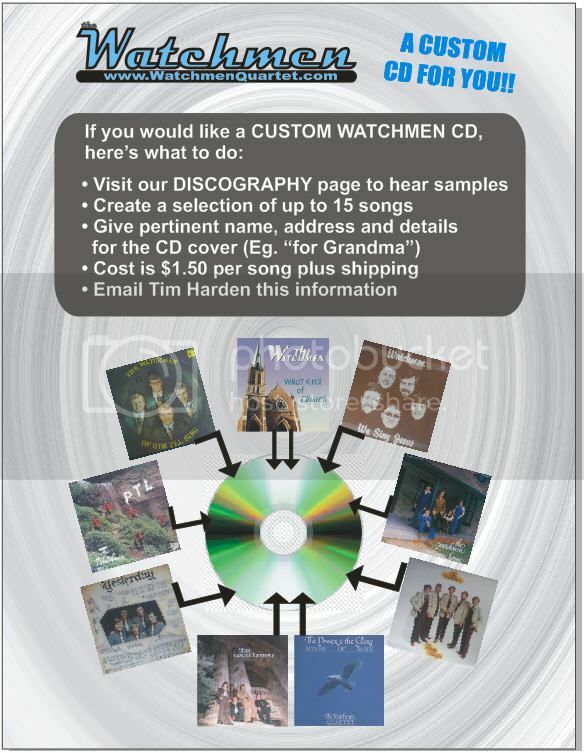 We can even make a special & personal CD of your Watchmen favorites from over the years. Check it out by clicking on our "DISCOGRAPHY" link at top of this page. This song is "Heaven" recorded in Owen Sound back in 2007.